We have lived with them ever since the first homo sapiens opened its eyes in the prehistoric world. We are talking about the animals, of course. Even though many of us humans would refuse to acknowledge the as living, breathing beings that walk among us and have as much right on this world as we do, it is a fact that without animals, the world would be a very different place indeed. For one, our lives would be infinitely more difficult if we did not have animals at hand at assist us at almost every step. From being food to bringing infinite joy, animals have quietly been standing by our side since time immemorial. It is time that we stop to make an assessment of how these wonderful creatures help us in our everyday lives. Had it not been for the animals, the world would have been a very different place. To begin with, the ecosystem is what it is today because of the animals. Think of what it would have been like if none of the animals that we know today had not existed. 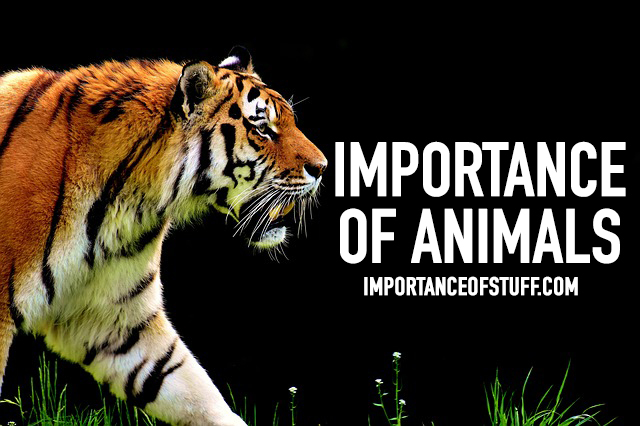 Each animal has its place in the ecosystem and the world in extension; they are responsible for certain actions that ensures that the ecosystem remains well balanced and in place. The predators are responsible for making sure that certain animal populations are kept in check. The excrement of animals are used as fertilizers. Sometimes, certain vegetarian animals, such as monkeys, ingest the fruits and vegetables whole along with the seeds, which are then excreted through their feces. Thus, they also help to populate more plantations, and thus help to contribute to a greener earth. Any pet owner and animal lover will know the great comfort that animals bring to our lives. It is well known that animals make wonderful companions. It is proven that the company of animals helps us in times of great stress. Anyone who has owned n animal- be it a cat, a dog, a bird, or any other less common species, will agree that it is wonderful to be in the company of animals. They depend on us and genuinely care about us, and their dependence gives us a much needed reason to live. Clinical psychologists advise people with depression to get a pet, because being around an animal lofts your spirits and makes you feel more hopeful about life. Some animals are of great use in other areas of life as well, apart from being just pets. For instance, seeing eye dogs and therapy dogs are extremely well known. These dogs are trained to assist the visually challenged, and to aid people with special needs. For instance, therapy dogs who are trained to be with diabetic and epileptics are trained to recognize the symptoms of an attack, and know when to get the medicine and whom to notify in the house. Dogs are also maintained by the police and special investigation teams to sniff out narcotics and other hazardous elements. In fact, bomb squads across the world would cease to function if the superior nasal qualities of dogs had not been called into action. Animals are used for many purposes across the world. In many regions of the world even today, bullocks and cows are used extensively for farming purposes. Cows, horses, camels, bullocks, donkeys, and mules are widely used to pull vehicles in many rural regions of the world. In the most remote of places, people still travel from one place to another riding on the backs of the local large animals. They are also used to carry heavy loads on their backs for long distances. The use of animals in terms of food cannot be undermined. We have hunted animals for food for many years. Although that is not so much common now, and illegal in most regions, animals are still raised for food in most parts of the world. Especially in regions where little vegetation grows, the people have to rely almost completely on animal meat for sustenance. Poultry in the form of chicken, ducks, turkeys, and goose are raised in all parts of the world, from whom we procure meat as well as eggs. Depending on the region, people also eat the meat of other animals and birds like emu, ostrich, rabbit, camel, lamb, goat, and even dog, among others. Animals can truly be our best friends, as anyone who has ever worked or lived with animals will vouchsafe. It is important that we treat them well and make sure that we make this world a safer place for them to live in.